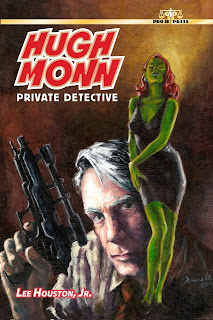 A traditional private detective plying his trade in the far flung future on another planet in a distant corner of the universe. The anthology includes the short stories Dineena's Dilemma, Shortages (the first appearance of Big Louie), Of Law And Order (the first appearance of Attorney Mau Mynx), The Siege, Where Can I Get A Witness?, For The Benefit Of Master Tyke, At What Price Gloria?, and A Day At The Beach (the first appearance of Sandra Bunnae). 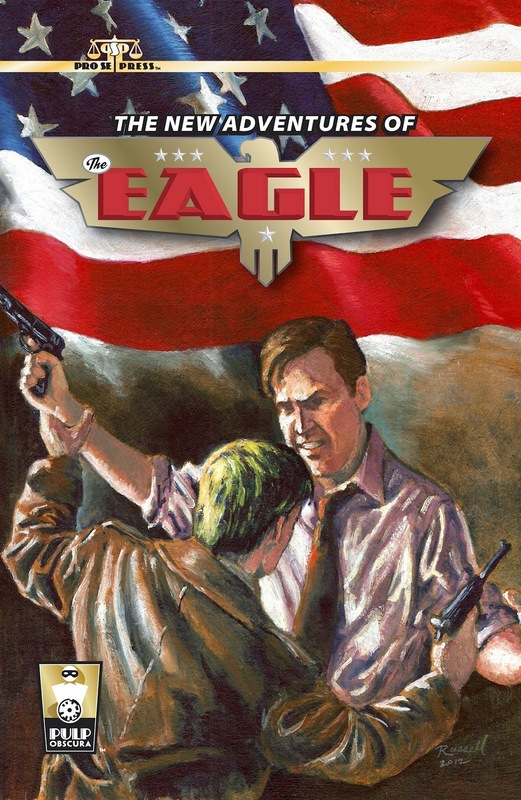 The first two stories were originally published within Masked Gun Mystery magazine from Pro Se Press, but I re-edited for the anthology. The others never saw print in serial form because the magazine was replaced by Pro Se Presents, with me as (story) editor; but it shows you how far ahead I was at the time. Under an award winning cover by David L. Russell; the book has been released in print, as an e-book, and recently as a great MP3 Audio Book by Pete Milan and Chris Barnes of Dynamic Ram, who are working are adapting the next HUGH MONN novel in the same format! The opening novel of my superhero series, the being who would become an altruistic person helping all (ALPHA) was a nobody until fate intervened. He finds his life literally changed overnight, with his first mission putting him in a do-or-die situation to save not only another planet, but perhaps the entire universe as well! 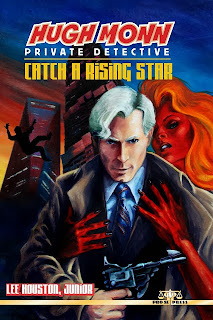 Published by Pro Se Press, this is available in both print and the e-book formats right now, and I am hard at work on book 2 in the series: WAYWARD SON, as our hero tries to figure out "where do I go from here?" 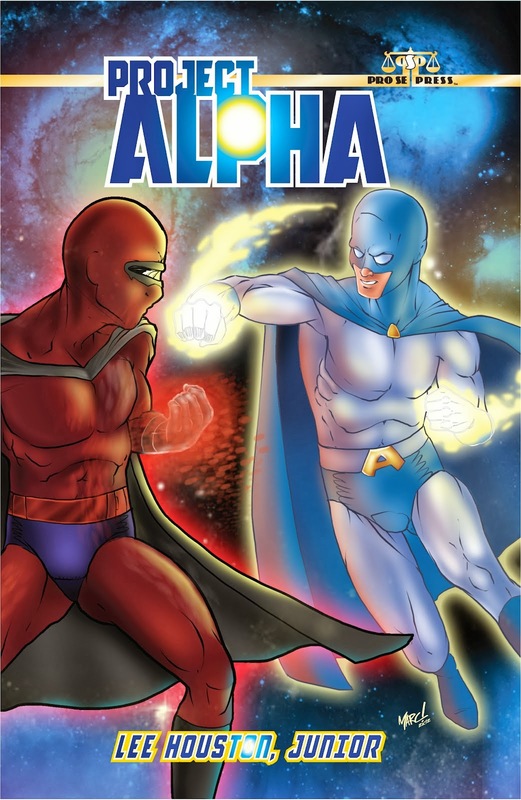 You have to admit, that is a great cover image by Marc Guerrero of Alpha (in blue and white) battling Conalaric! While I was intentionally trying for longer adventures, what was supposed to be the opening tale for another anthology became a novel unto itself, because I kept thinking of things to add to the story! Hugh is hired as a security consultant for vid actress Ruby Kwartz as she comes to the tropical island nation of Galveston 2 to film a new production; but what was supposed to be a simple assignment turns complicated as Hugh discovers everyone has a hidden agenda, and someone wants to make sure that this vid is Kwartz's last! From Pro Se Press with another great cover by David L. Russell, CATCH A RISING STAR is currently available in the print and e-book formats, with Milan and Barnes working on the MP3 Audio adaptation for Dynamic Ram. 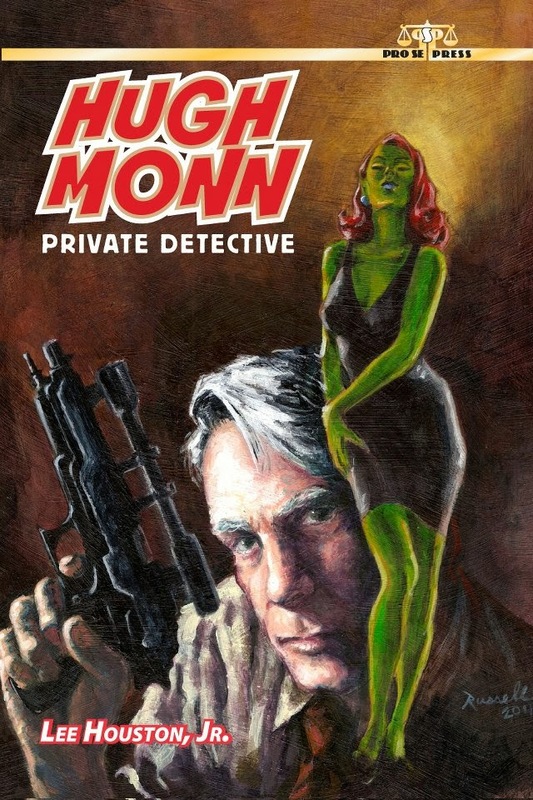 And of course there will be more thrilling HUGH MONN adventures in the future (no pun intended). But I have also done plenty of short stories too! 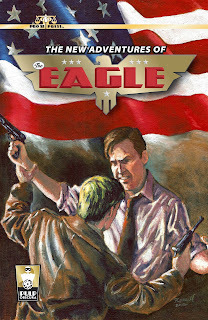 When G-2 Special Agent Jeff Shannon, aka The Eagle, is sent to the land down under on assignment, he finds more than he bargained for as he encounters a historic event and unknown Nazi plans that might help them win World War 2 if successfully carried out! A joint production of Pro Se Press and Altus Press in both print and e-book format, my story shares the anthology with Bobby Nash, Teel James Glenn, Ashley Magnin, R. P. Stevens, and Nick Ahlhelm under a David L. Russell cover. Nazar claims he can predict when someone is destined to die and is willing to alter their fate, for a price. But when Diamondstone the Magician turned sleuth (originally created by G. T. Fleming) confronts "THE DEATH DEALER", neither may survive the final encounter! Available in print and e-book as a joint production of Pro Se Press and Altus Press, I am honored to be sharing this anthology with Chuck Miller, Russell Anderson, Junior; and Nicholas Ahlhelm under a Mike Fyles cover. "A TAVERN TALE" (stopping for a drink during a long journey might not be a good idea) within the third issue of Pro Se Press' Fantasy and Fear magazine. These two titles, as well as Masked Gun Mystery, were combined and replaced by Pro Se Presents. I have other short stories pending, but since I have no idea where they currently are within the various publishers production schedules, it would not be fair of me to say anything prematurely about them. But everything listed above has its Amazon links, with the print and e-book formats also available from Barnes and Noble and Create Space.